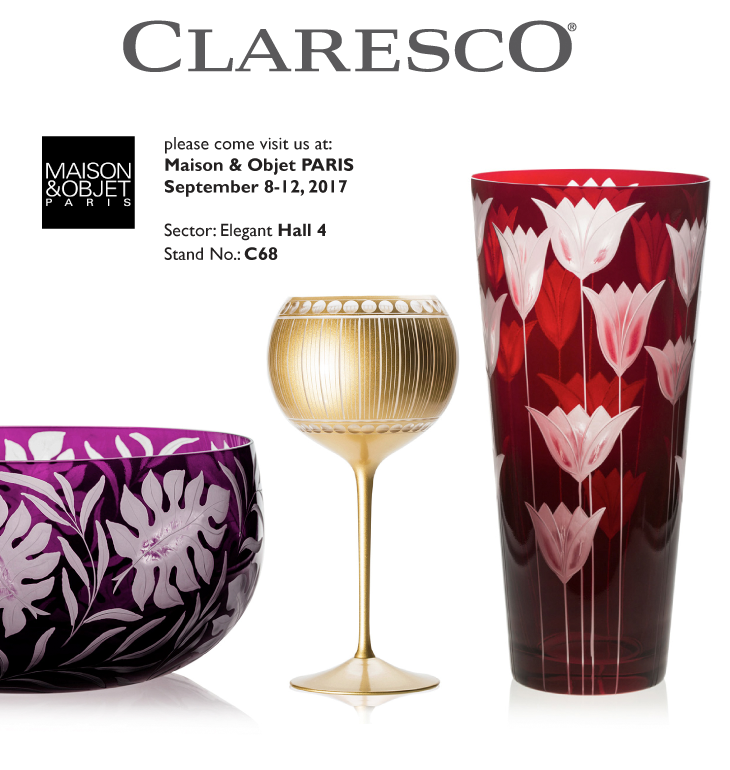 MAISON & OBJET PARIS is location for prestige and uniqueness. Creativity, innovation and technical solutions come together to create a temple of design and luxury lifestyle. 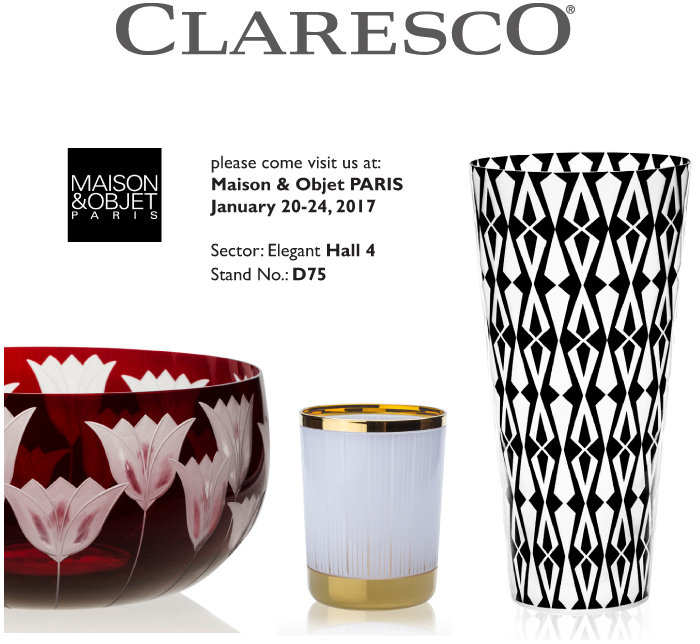 Please come visit us during January 20-24, 2017, in Section ELEGANT Hall 4, Stand D75 and discover our newest designs of handmade Czech crystal. 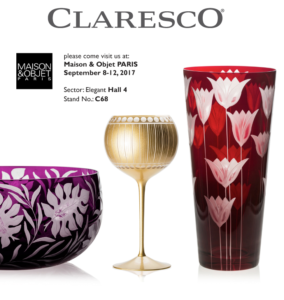 Please come visit us during September 8-12, 2017, in Section ELEGANT Hall 4, Stand C68 and discover our newest designs of handmade Czech crystal.